The committee found her unfit for the role, not over matters of competence but over her conduct in her private life. 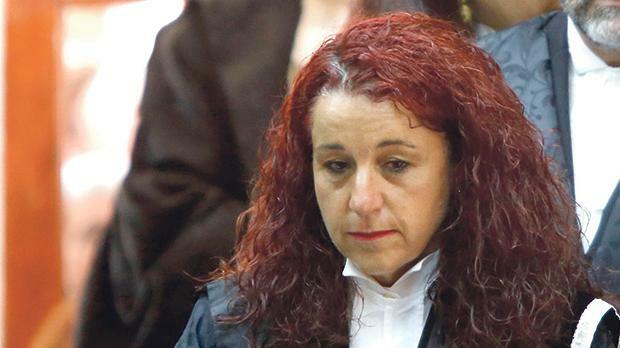 Magistrate Consuelo Scerri Herrera had been censured over her conduct in her private life. Magistrate Consuelo Scerri Herrera has been rejected for the position of judge by the committee that vets nominations submitted by the government, The Sunday Times of Malta is informed. 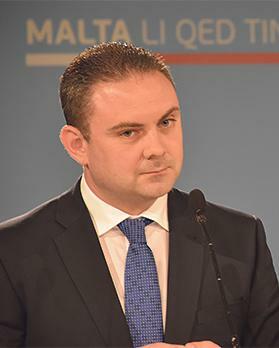 The proposal to promote the magistrate to the superior courts was made by Justice Minister Owen Bonnici but turned down by the Judicial Appointments Committee. This is the third applicant which the new committee has examined so far, having approved former Labour Party deputy leader Toni Abela and former government consultant Grazio Mercieca as judge and magistrate respectively. The decision on Magistrate Scerri Herrera was made after a thorough examination of her credentials, including her private and financial affairs. She also had a face-to-face interview with the five-member commission, made up of the Chief Justice, the Ombudsman, the Attorney General, the Auditor General and the President of the Chamber of Advocates. Sources said her conduct over the past years was the main reason for her rejection, after she was censured by the Commission for the Administration of Justice for breaching the judiciary’s code of ethics. The government has not made any formal statement about this rebuke yet. According to constitutional amendments that passed through Parliament last summer, appointments to the judiciary must now be approved by the Judicial Appointments Committee. Eligible lawyers who wish to become magistrates or judges need to apply to the committee which then examines their credentials and issues a recommendation on whether or not they are fit to hold office. In the case of magistrates, the application to become a judge has to be submitted by the Justice Minister on his own initiative. The law allows the minister and the Prime Minister to ignore the committee’s advice. But court sources consider this highly unlikely in this case. Dr Bonnici had moved to obtain the commission’s approval for the promotion of Magistrate Scerri Herrera soon after the constitutional amendments were passed. However, this was only a few months after she had been found in breach of the judiciary’s code of ethics for behaviour which “compromised her integrity and personal dignity, thus casting doubts on the independence and integrity of her office”. “The decision to block Magistrate Scerri Herrera’s promotion does not only reflect badly on the sitting magistrate but also on the Justice Minister who insisted on promoting her despite knowing that she had breached the code of ethics,” one source said. Last July, after a six-year probe, the judiciary’s watchdog had concluded that while there was no evidence that she acted improperly in her job, she had compromised her integrity by attending parties whose invitees included politicians. In one case, a politician who was a guest at her birthday party was involved in a court case over which she was presiding. The Commission for the Administration of Justice, headed by the President of Malta, also criticised Magistrate Scerri Herrera for giving public interviews, seeking publicity in magazines and entertaining a police inspector’s advances. At the same time, the commission found no proof that she had shown any professional favouritism by appointing architect Robert Musumeci as a court expert in a number of cases before the two became companions. Magistrate Scerri Herrera, who is the sister of Environment Minister Jose’ Herrera, was appointed magistrate in 1997 when she was just 31 years old.